Recreational vehicles come in all different sizes and makes and variations that finding transportation services for your RV can be challenging at best and daunting at worst. 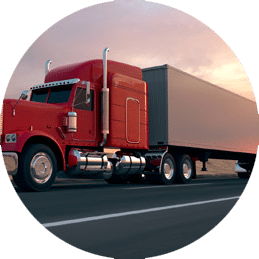 Many companies don’t handle such large vehicles – they’re expensive and almost not worth it to transport because there are so few carriers out there that can handle them, especially longer recreational vehicles, which are naturally heavier as well. 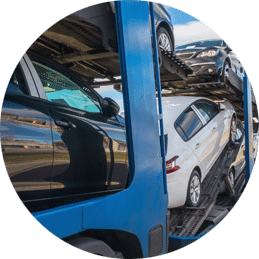 In this helpful article you’ll learn a bit about how recreational vehicles are shipped and some of the restrictions that come with it, as well as how all that affects your auto transport prices. Recreational vehicles come in several different variants. To start, you have the travel trailer, which must be towed behind a vehicle if you want to move it. If you want to transport it, it will either be towed by someone with their own truck or it will be loaded onto the back of a flatbed trailer, where it will be secured into place and then transported to wherever it is it needs to go. Recreational vehicles such as motorhomes, which have a cab and chassis and can be driven under their own power, are a bit easier to ship because they can be driven, but they will almost always need a flatbed transport carrier in order to move them because many are over 25 feet long and they all weigh a lot more than a ton. Since recreational vehicles will almost always require flatbed transport, it means that prices for transport will be pretty steep and availability of a carrier will probably go down. 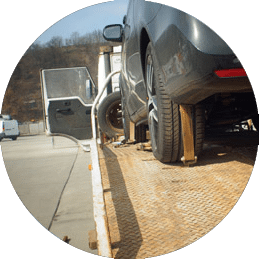 Flatbed transporters are not nearly as common in the industry as open or enclosed shippers, and since the height, weight and length of an RV are all so much more than standard cars or even pickup trucks it takes a special transporter to haul them. Some smaller RV’s can fit in an enclosed container, but their weight will still hike the price up significantly. Plan ahead and make sure to budget accordingly before transporting your recreational vehicle. You can call us at Mercury Auto Transport toll-free at 800-553-1828 to speak to one of our live auto transport representatives about getting your RV transported, and this is truly what we recommend as they need to have a good understanding of what exactly you are shipping before they can give you an accurate quote. Please have the dimensions of your RV on you when you call, if you can, and if you can try to have a picture that you can e-mail or fax to us so we can know for sure what exact recreational vehicle you need to ship. You can also fill out our free online quote request form, though that probably will not give you as accurate a quote for something as large as a recreational vehicle.